First we have to know what inflation is and what interest rate is and what the relation between them is. In a general sense inflation is occur when the general price level is rising. An appropriate definition of inflation is given in the Oxford dictionary “a rise in prices and wages caused by an increase in the money supply and demand for goods, and resulting in a fall in the value of money”. Inflation is being measured by CPI- weighted average of the prices of the products. And interest rate is one of the controlling measures of the inflation rate. So the relation between the inflation and interest rate is controller and controlled where interest rate is controller and inflation rate is controlled. Inflation is as old as market economies. Over the long haul, prices have generally risen, as the blue line reveals. Real wages meandered along until the industrial revolution. The real wage have climbed steadily since around 1800, rising than tenfold. Until 1945, the pattern was regular; price would soar during wartime and then fall back during the postwar slump. But the pattern changed dramatically after World War II. Prices and wages how travel on a one-way street upward and form this time the term is deeply realized by every nation. They rise rapidly in periods of economic expansion in recessions they do not fall but merely rise less rapidly. At the same time different type of controlling measure is innovated to control the inflation and from them one of the most popular measure is bank rate or interest rate. Under the interest rate policy, the rate of interest in both deposit and loan is increase as a result borrowers and business borrow less and money circulation in the open market is decrease and ultimately the money value is increase resulting decrease in inflation rate. Sometime interest can’t be a effective one against the business transactions because if interest rate is increase businessman fulfill the requirement of investment fund from the retained earnings and from relative or any other financial institution. On the other hand if the rise in interest rate is stay for a long time in can reduce the productivity and business activity of a nation and the cost of production as well as the cost of goods and service also can increase. So a nation has to use this method for a short period of time bur effectively. Inflation occurs when the general level of prices is rising. Inflation is being measured by using the CIP (consumer price index) weighted averages of the prices of the products. The consumer price index measures the cost of a market basket of consumer goods and services relative to the cost of that bundle during a particular base year. The rate of inflation is the percentage change in the price level: -Rate of inflation (year-t)= (price level in year t– price level in year t-1)/Price level in year t-1 * 100. Where t is current year and t-1 is previous year price level. By inflation in ordinary language, we mean a process of rising price. A situation is described as inflationary when either the prices or the supply of money are rising, because in practice both will rise together. In the Keynesian sense, true inflation begins when the elasticity of supply of output in response to increase in money supply has fallen to zero or when output is unresponsive to changes in money supply. When there exists a state of full employment the conditions will be clearly inflationary, if there is increase in the supply of money. But since we do not subscribe to the classical view that there is full employment, we can say that when money supply increases it results partly in the increase of output (GNP) and it partly feeds the rise in prices. And when the supply of output lags far behind, the rise in prices is described as inflationary. In Coulborn’s words, it is a case of “too much money chasing too few goods”. Thus, inflation is generally associated with an abnormal increase in the quantity of money resulting in abnormal rise in price. Inflation is as old as market economies. Over the long haul, prices have generally risen, as the blue line reveals. Real wages meandered along until the industrial revolution. The real wage have climbed steadily since around 1800, rising than tenfold. Until 1945, the pattern was regular; price would soar during wartime and then fall back during the postwar slump. But the pattern changed dramatically after World War II. Prices and wages how travel on a one-way street upward. They rise rapidly in periods of economic expansion in recessions they do not fall but merely rise less rapidly. Low inflation is characterized by that rise slowly and predictably, we might define this as single-digit annual inflation rates. When prices are relatively stable, people trust money. They are willing to hold on to money because it will be almost as valuable in a month or a year as it is today. People are willing to rite long-term contracts in money terms because they are confident that the relative prices of goods they buy and sell will not get too far out of line. Most industrial countries have experienced low inflation over the last year. Inflation in the double or triple digit range of 20, 100, or 200 percent a year is called galloping inflation. From time to time advanced industrial countries like Italy or Japan suffer from these syndromes. Many Latin American countries, such as Argentina and Brazil, had inflation rates of 50 to 7001 percent per year the 1970s and 1980s. Once galloping inflation become entrenched, serious economic distortions arise. Generally, most contracts get indexed to a price index or to a foreign currency, like the dollar. In these conditions, money loses its value quickly, so people hold only the bare minimum amount of needed for the daily transactions. Financial markets wither away, as capital flees abroad. People hoard goods, buy houses, and never, never lend money at low nominal interest rate. A surprising finding is that economies with galloping inflation often manage to grow rapidly even though the price system is behaving so badly. The real demand for money falls drastically. There is huge variation in relative price and real wage. Drought famine or any other natural calamity adversely a affecting agricultural production and prolonged industrial unrest resulting in reduction of industrial production. The major distribution impact of inflation arises from difference in the kinds of assets and liabilities that people hold. When people owe money, a sharp rise in prices is a windfall gain for them. Suppose you borrow 100000 TK. To buy a house and your annual interest rate is fixed and it is 10000 TK pre years. Suddenly, a great inflation doubles all income or earnings. Your nominal mortgage payment is still 10000 TK per year, but its real cost halved. You will need to work only half as long as before to make your mortgage payment. The great inflation has increased your wealth by cutting in half the real value of your mortgage debt. If you are lender and gave assets in fixed interest rate mortgage or long-term bonds, the shoe in is on the other foot. An unexpected rise in price will leave you the poorer because the dollars repaid to you are worth much less than the dollars you lent. If inflation persists for a long time, people come to anticipate it and markets begin to adapt. An allowance for inflation will gradually be built into the market interest rate. We asked at the outset of this section how the United States reached such high inflation rates in the early eighties and why policymakers didn’t stop inflation sooner. The answer is easy for the first part; there was not enough political will or enough of a consensus to undertake a decisive attack on inflation. This was so, in good part, because people still remember the Great Depression, with its mass unemployment and terrible nationwide despair and social unrest. The legacy of the s favors high employment. But once the government is committed to high employment levels, she is little hope for stopping inflation once and for all. We have discussed the role of politics, credibility, long-term wage contract, and expectations as standing in the way of inflation stabilization. The basic lesson from the U.S. economy through the seventies suggested that the unemployment costs of bringing down inflation, without any help from favorable supply shocks, would be enormous. The question of how large a recession would be needed to stop inflation was certainly and important one to ask in the early 1980s, when inflation was in the double digit range and presented itself as the foremost policy challenge. Some estimates of the cost of fighting inflation were overwhelming, suggesting that to get inflation from 10 percent down to zero would take more than 10 year and that unemployment would have to increase to 10 percent and stay high for many years in order to achieve this. These estimates would not, of course, encourage a policy of inflation fighting. And yet, over the 1981-1986 periods the United States achieved an impressive disinflation. How can we account for the willingness of policymakers to take the risk and how do we explain their success. This represents a situation where the basic factor at work is the increase in demand for resources either from the government or the entrepreneurs or the households. The result is that the pressure of demand is such that it cannot be met by the currently available supply of output. If, for example, in a situation of full employment, the government expenditure or private investment goes up this is bound to generate an inflationary pressure in the economy. We can visualize a situation where even though there is no increase in aggregate demand, prices may still rise this may happen if the costs, particularly the wage costs, go on rising. Now as the level of employment increase, the demand for workers rises progressively so that the bargaining position of the workers is enhanced. To exploit this situation, they may ask for an increase in wage rates, which are not justifiable either on grounds of a prior rise in productivity or of cost of living. The employers in a situation of high demand and employment are more agreeable to concede to these wage claims because they hope to pass on these rises in costs to the consumers in the shape of higher prices. If this happens we have another inflationary factor at work. The latest available figures from the BBS show that the national inflation rate (base year 1995/96, in September 2003) was 4.71 percent moving average. On a point-to-point basis the rate was about 5.58 percent. It may be recalled that the inflation rate (moving average) was 2.79 percent and 4.38 percent in June 2002 and June 2003 respectively. Although we do not have official statistics on the consumer price index (CPI) for more recent month, market information on prices of essential commodities suggests that the inflation rate has further increased during October and November 2003 (Ramadan Month). The inflation rate (moving average) for non-food prices has been higher (5.1 percent) than for food price (4.44percent). However, every surprisingly one finds that both food and non-food price increase had been higher in the rural areas than in the urban areas. Thus, it is evident that the recent price like will hit the poor more (those who spend relatively more on food), particularly those living in the rural areas. The higher inflation in rural area also indicates the emergence of structural shift of rural economy with increasing magnetization and growth of non-farms sectors. This concern for price inflation becomes quit serious when we consider the recent trend in wage inflation. The wage index grew by more than 11 percent throughout Fiscal year 2003 and during the period July-September 2003 this gas remained above 8 percent. It goes without saying that such wage inflation, which in turn erodes export competitiveness of the economy. On the other hand, increase in teal wage (around 5.3 percent) may be an expression higher of labor demand and growth n productivity. Thus, it needs further examination to explain a growth in real wage during a period in a country with one-third of its workforce unemployed or underemployed when it has experienced a large retrenchment of manufacturing labor (more than 51000) through closing of the SOEs. National CPI inflation: – During the fiscal year 04 consumer price inflation increased markedly owing largely to increase in international prices of commodities. While 12-month point to point CPI inflation increased from 5.0 percent in FY03 to 5.6 percent in FY04, average inflation measured by 12-month average movements in CPI index (base: FY96=100) indicated an Increase further from 4.4 percent in FY03 to 5.8 percent in FY04 due to sharp increase in prices during the year that moderated only later in the year (following chart). During the first half of the year, the 12-month CPI inflation increased from 5.0 percent in June 2003 to 6.7 percent in November and declined since then to 5.6 percent in may 2004. Food price inflation, induced by high prices of imported goods, accelerated from 5.2 percent in June to nearly 8 percent in November 2003 and then displayed a declining trend – reaching 6.6 percent in may 2004 reflecting a comfortable boro harvest and easing of commodity prices in international market. The non-food prices on the other hand decelerated gradually during the first three quarters from about 4.7 percent in June 2003 to 4.1 percent in March 2004 and then edged up slightly in the fourth quarter of FY04. Rural CPI inflation: – overall the food prices component increased by 6.9 percent in FY04 compared with 3.5 percent increase in FY03, while the non-food component increased at a lower rate by 4.4 percent in FY04 compared with 5.7 percent increase observed in FT03. Annual average CPI based inflation in the rural areas increased by 5.8 percent in FY04, relative to 4.7 percent increase of FY03. The food prices component rose by 6.6 percent in FY04 relative to 4.1 percent increase in FY03, while the non-food component increased a lower rate by 4.5 percent in FY04 against 5.9 percent rise in FT03. Annual average CPI based inflation in the urban areas increased by 6.0 percent in FY04, against 3.5 percent increase in FY03. The food prices components of urban CPI rose by 7.8 percent in FT04 compared with 2.1 percent increase in FY03, while the non-food component increased by 4.1 percent in FY04compared with 5.0 percent increase in FT03. Urban consumers experienced higher price inflation in FY04 than the consumers in rural areas for the food components and lower price inflation for the non-food components of their consumption basket. The higher price increase in the food component for urban consumers may be explained by higher quality and increased transportation cost due to upward revision in fuel price, and distribution bottlenecks. Urban CPI inflation: – with no major disruption in domestic production and distribution activities, the increase in consumer price in FY 04 was due mainly from the increases in international prices of major commodities, notably food items. International prices of rice, wheat, edible oil and sugar which are imported and feature prominently in the consumption basket, increased sharply during the June- December and then stabilized or declined moderately during the third quarter of FY04. The mild depreciation of Taka-dollar exchange rate from Taka 57.90/USD in FY03 to about Taka 58.94/USD in FY04 also contributed to the price increase. In addition, it may be noted that in response to large increase in world oil price, the government also adjusted administered prices of some energy products during the fourth quarter including the price of jet fuel, kerosene and fuel oil. These price increases of petroleum and energy fed into the prices of food and non-food goods and services, including transport and trade. Banks are free to fix their deposit and lending rates; however. The Bangladesh bank has been pursuing the banks to reduce highest lending rate to single digit. The Bangladesh Bank revised the Bank rate downward from 6 percent to 5 percent in November 2003. Banks are allowed to differentiate interest rates by 3 percentage points considering comparative risks involved among borrowers in the same lending category. The interest rate policy pursued by the Bangladesh Bank appears to be effective in stimulating economic activities in general. Capital market has registered significant growth in terms of share price index as well as market capitalization. The weighted average deposit tare, lending rate and spread of the banks came down to 5.65, 11.01 and 5.36 percent and 6.06 as of December 2002. This trend is likely to continue and would certainly result in better operational performance of the banks in term of recovery and profitability. There is an element of monopolistic competition in the money market inasmuch as different borrowers are charged different rates of interest. It may be noted, however, that pure interest tends to be the same, if calculated over the same period of time in the same money market. The actual differences that prevail are differences in gross interest. In other words, they are due to difference in the degrees of risk involved and inconveniences suffered by the lenders. Difference due to distance: – people are usually more willing to invest their capital nearer home than at a long distance. This may crate difference in supply and demand due to the comparative immobility of capital. Difference due to time: – If people have to part with their money for a longer period, they expect higher rate of interest even though risk and other factor are remains same. Of course if money is lend for very short periods and has to be re-lent again and again, the inconvenience of management will increase gross interest. But that will not be net income. Difference due to the amount of the loan: – it is generally seen that the rate of interest varies inversely with the amount of the loan. The rate decreases as the amount of the loan increase, and vice versa. Differences in liquidity: – By liquidity we mean the ease with which the loan given can be called back or the ease with which an asset like securities can be sold without monetary loss when its owner requires cash. The sale of some securities may involve delay, cost or capital loss, while others may loss. The more liquid securities will carry a lower rate of interest and vice versa. Maturity Period: – Other thing being equal, long term loans will carry higher rates of interest than do short term loans, since the long term lenders suffer greater inconvenience and possible financial sacrifice of foregoing alternative uses for their money for a longer period of time. Market imperfection: – We can define this by an example, a bank in a small town, which has a monopoly in the local money market, may charge a higher rate of interest from the local people, because there the people find it very inconvenient to “shop around” at banks in distant cities. That means a bank can charge a higher interest if they have a monopoly market. Difference in social esteem: – A person with batter reputation or integrity can borrow at lower rates. This is partly due to the elements of lower personal risk already considered. Differences in productivity: – Where capital can earn greater reward for the producer, he will be willing to pay higher interest. Such trades are usually more speculative and higher interest can be attributed to higher risks. Keynesian or liquidity preference theory. All these theories of interest seek to explain the determination of the rate of interest through the equilibrium between the forces of demand and equilibrium between the forces of demand and supply. In other words, all these three theories of interest are ‘demand and supply theories’ with rate of interest as the mechanism which brings about equilibrium between demand and supply. The difference among the theories of interest lies in the answer to the question: demand for what and supply of what? According to the classical theory of interest, rate of interest is determined by demand for saving to invest and supply of saving. Loanable funds theory seeks to explain the determination of the rate of interest through the equilibrium between demand for loanable funds and supply of lonable funds. Apart from current savings, lonable funds include other things also. Keynesian theory of interest asserts that the rate of interest is determined by the demand for money to hold and the supply of money. Now we discuss Keynes Liquidity preference theory of interest. Transaction motive: -the transaction motive of money relates to the ‘medium of exchange’ function of money. According to prof, A.C.L. Day “major elements. The transaction motive can be further split up as (1) the income motive (2) the business motive. The income motive refers to the transaction motive of the consumer and this amount depends upon the size of his income and the intervals of time between the receipt of income and its expenditure. The business motive refers to the transaction motive of the business community. And this amount depends upon the timing and size of personal income and the turnover of business. Precautionary motive: – Beside holding money balance for transaction motive, people desire t hold money as precautionary store of wealth for some unforeseen contingencies, this motives is represented by the uncertainty in respect of timing and amount of payment. To describe this theory Keynes says that “the desire for security as to the future cash equivalent of a certain proportion of total resource”. Since the estimates of future contingencies do not fluctuate suddenly, the precautionary demand for money remains stable in shot-run. The difference between transaction and precautionary motive is that the amount of money held for the latter purpose can sagely be regarded as varying in direct proportion the value of transaction taking place in a given time in a country, while money holding for precautionary motive varies significantly with the degree of uncertainty. The combined sum of balances held for transaction and precautionary motives, Keynes termed active balances and labeled M1. The demand for active balances can be referred to as L1 and thus L1 =f(Y). This relationship is shown diagrammatically in the following diagram. According to Keynes L1 is directly proportionate to the level of national income. OL1 is the demand for active balances at OY1 of a national income. When the national income increases from OY1 to OY2 the demand for active balance goes up from OL1 to OL2. it should be noted here that the demand for active balances, according to Keynes, is independent of the rate of interest or the demand for active balances with respect to the rate of interest is absolutely inelastic. OM is the demand for active balances, which do not change, weather the rate of interest is 8% or 6%. Along OX axis is represented the speculative demand for money and along OY the rate of interest. The liquidity preference schedule ship is a downward sloping curve towards the right signifying that the higher the rate of interest, the lower the demand for speculative motive, and vice versa. The schedule becomes more elastic towards the right end at very low rate of interest.According to Keynes, the demand for money, i.e., the liquidity preference and supply of money determine the rate if interest. It is, in fact, the liquidity preference for speculative motive, which, along with the quantity of money, determine the rate of interest. We have explained above the speculative demand for money in detail. As for the supply of money, it is determined by the policies of the Government and of the central Band of the country. The total supply of money consists of coins plus notes plus band deposits. How the rate of interest is determined by the equilibrium between the liquidity preference for speculative motive and the supply of money is shown in the following figure. In figure (A) when the quantity of money increases from OM2 to OM’2 the rate of interest falls from Or to Or’ because the new quantity of money OM’2 is in balance with the speculative demand for money at OR’ rate of interest. In this case we move down the curve. Thus given the schedule or curve if liquidity preference for speculative motive, an increase in the quantity of money brings down the rate of interest. But increase in the quantity of money may cause a change in the expectation of the public and thereby cause an upward shift n liquidity schedule or curve for speculative motive pushing the rate of interest up. But this is not certain. “New developments may only cause wide difference of opinion leading to increased activity in the bond market without necessarily causing any shift in the aggressive speculative demand for money schedule. If the balance of market expectation is changed, there will be a shift in the schedule. Central Bank policy designed to increase the money supply may, therefore, be met by an upward shift of speculative demand function leaving the rate of interest virtually unaffected”. Thus, a large increase in the quantity of money may exert only a small influence on the rate of interest in certain circumstances. It is worth mentioning that shifts in liquidity preferences schedules or curve can be caused by many other factors which affects expectations and might take place independently of change in the quantity function may be either downward or upward dependent on the way in which the public interprets a change in events. If some change in events leads the people on balance to expect a higher rate of interest in the future than they had previously supposed, the liquidity preference for speculative motive will increase, which will bring about an upward shift in the curve of liquidity preference for speculative motive, and will rise the tare of interest. In figure (B) assuming that the quantity of money remains unchanged at OM2, with the rise in the liquidity preference curve from IPS to I’P’S’ the rate of interest rises from Or to Or’ because at Or’’, the new speculative demand for money is in equilibrium with the supply of money OM2. It is worth nothing that when the liquidity preference for speculative motives rises from IPS to I’P’S’ the amount of money held does not raise it remains as OM2 as before. Only the rate of interest rises form Or to Or’’ to equilibrate the new liquidity preference for speculative motive with the available quantity of money OM2. Thus, we see that Keynes explained interest forces and not in terms of real forces like productivity of capital and thrift which formed the foundation stone of both classical and lonable fund theories. According to him, demand for money for money determines the rate of interest. He agreed that the marginal revenue product of capital tends to become equal to the rate of interest, but the rate of interest is not determined by marginal revenue productivity of capital. More over according to him interest is not a reward for saving or thriftiness or waiting but for parting with liquidity. Keynes asserted that is not the rat of interest which equalize saving and investment. But this equality is brought about through changes in the level of incomes. In following table contains average interest rates of scheduled banks on deposits and advance along with the spread during FT01 to Y04. The data as reported in following table indicate that both the deposits and advances rates were declining during FT01 to FY04. The spread between the advance and deposit rates remained mostly stable within the range of 6.4 to 6.7 during FY01 to FY03. However, because of recent steps taken by the Bangladesh bank the spread between the advance and deposit rates come down to 5.3 in FY04. Every society, socialist or capitalist, is faced with the problem of using its scarce resource in an optimum manner. Capital resources are scarce everywhere even in a socialist society. Its Allocative function. In all type of societies, therefore, all projects have to go through a screening process to find their place in the order of priorities. Even in a socialist society interest cannot be abolished, though it may not be paid to private individuals. Even there, through its instrumentality, priorities regarding the use of scarce capital resources for various possible employments will be determined. The order of priorities in a socialist society will probably be different from the one in a capitalist society, but the rate of interest will performs its function all the same. It has the same function as the function of price, viz., it adjusts demand to the supply available. It enables capital to be apportioned between competing demands of alternative uses. It is through the rate of interest that those uses, which promise the highest future return, receive the first consideration. Of course, the criterion of the highest future returns will differ in a capitalist society from that in a socialist society. In the former, expectations of profits for private entrepreneurs and in the latter the conception of welfare of the planning authority, will determine the priorities in the investment. Interest cannot be abolished; it can be socialized, if capital is socialized even if capital is socialized, the rate of interest will still be needed as an accounting device to give expressions to the prevailing scarcity or abundance of capital for the guidance of the managers of public enterprises in a socialists economy. Whatever the type of economic system, interest acts as a rationing device or performs an Allocative function. Since capital is a scarce commodity, only those projects can be undertaken where the returns on capital invested in greater than, or equal to the rate of interest have to be dripped. Thus the rate of interest directs the use of capital and the growth of productive capacity. The interest rate is socially important because it determine both the level and composition of investment. According to Keynes theory of investment, the level of investment is determined by marginal efficiency of capital and the rate of interest. The lower the rate of interest, the greater is the investment, and vice versa. However, the influence of the rate of interest depends on the interest elasticity of investment. It may, therefore, be understood that rising interest rates, as an anti-inflationary device will curb the rate of growth by reducing investment. As pointed out above interest rate affects the composition of investment through its price-rationing function. Whether investment goes into consumer goods industries or the producing goods industries or into long-term or short term investment depends on the rate of return in these investments. There are, however, some limitations in its performance as an Allocative mechanism, because government allocates a substantial portion of available capital to projects, which it considers in public interest, and oligopolistic firms can obtain capital on more favorable terms. One of the conditions we have listed is that interest rates can and do fully reflect expectations of inflation. This point deserves elaboration because it is central too much of the costs of inflation. Suppose someone lends 100 TK for 1 year provided that it brings his or her an extra 3 TK worth of goods and services next year. If there is no inflation, the lender of 100 TK gets back 103 TK, an amount that enables her or his to buy 3 percent more goods and services than she could have bought a year earlier. Let the inflation rat rise to 10 percent and suppose that everyone recognizes the higher inflation. If the lender continues to lend at 3 percent, she get back 103 TK at the end of the year. But now it is worth much less percent less than before there was inflation. The lender will lose approximately 7 percent rather than make 3 percent in terms of the change in the amount of goods and service she or he can buy. Someone who lends 100 TK for one year and wants 103 TK in real terms at the end of the year needs an interest payment large enough to buy 103 TK worth of goods and services at the prices that will exist at the end of the year. If prices will be 10 percent higher one year from now, the required payment is 113.03 TK (=103*1.1). To be compensated for the 10 percent inflation, the lender will have of ask for 13.3 percent in interest rate at the end of year, which is approximately equal to the initial 3 percent plus the expected inflation rate. That 13.3 percent is the nominal interest rat that will just compensate the lender for the 10 percent, inflation during the year while maintaining the 3 percent real, or after inflation, rate of interest earned by the lender. It is clear that a rise in the nominal interest rate to 13.3percint will compensate the lender for inflation. But what about the borrowers? Can he or she afford to pay the higher interest rate? The answer is that he can. Suppose the borrower is a firm, borrowing today to produce goods for sale in a year’s time. If the inflation rate rise to 10 percent, the prices of the goods the form will sell in a years time will be higher by 10 percent, and it can afford to meet the higher interest payments and come out in exactly the same real position it would have been in if the interest rate had been 3 percent without inflation. Bangladesh Bank calls all chief executives of schedule bank and suggests them to decrease the flow of credit in several sectors, by increasing the rate of interest. Other than Bangladesh suggest them, to decrease credit allowance in the un-productive sector and don’t open L/C in those sectors. Bangladesh Bank thinks that, the credit flow in the private sector is increase rapidly, which create pressure on the inflation, import and exchange rate. Some private bank face problem because of their insufficient rate of liquidity reserve, in this situation they should have to increase the interest rate to decrease credit flow. Before this International Monetary Foundation (IMF) called a press conference and suggest Bangladesh to decrease credit flow by increasing interest rate. Deputy Governor of Bangladesh Bank Najrul Huda said that, the total picture of economic is good, although some issue attract concentration which dangerous. He said that, in current year first 8month that means, July to February credit flow in private sector is rapidly increased. He also said that loan is allowed more than the deposit recipients. Loan allowed is increased 8 percent where deposit is increase only 7.3 percent this is happened because commercial banks doesn’t maintain the asset and liability ratio properly as a result some banks liquidity is decrease and now they face problems. So now all commercial banks should have to increase the rate of interest. He said, increasing rate of loan creates pressure on the exchange rate because import rate is increase, and the actual rate of interest on the deposit is decrease because of inflation. In this position commercial bank should increase the interest rate in both deposit and loan to bring balance between the deposit and bank loan he add that, in this time our neighbor country like India, Pakistan also increase the interest rate in their country. He said that to increase the interest rate for depositor and to decrease the credit flow to the un-productive sector commercial should have to increase the interest rate in both case. On the other hand the leader of 10 chambers and association prepare an statement where they express their opinion against the rise of interest because they think that, just now country get the well result by the high interest rate like, production cost is decrease, growth rate is increase which indicate the opportunity for the new employment. 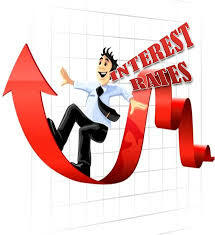 Other then our neighbor countries interest rate is less than us like, in our country interest rat is 12-15 percent where the interest rate in India is 6-7 percent, in Pakistan the rate is 5 percent and in Srilanka the rate is 2.7 percent. They also said that, the inflation rate in Bangladesh don’t depends on the money supply, beside this the cause of price inflation is scarcity in budget, un-proper distribution, wastage in the production, decreasing rate in productivity, government control in oil, rise in price of Gas and Electricity and the un-controlled legal situation. In addition they said for decrease in interest rate, increase in productivity, and use a proper tax procedure. Because by those steps the inflation rate can be decrease. This statement is signed by Chairman of FBCCI Abdul Aual Minto, Chairman of ICC (Bangladesh) Mahabubur Rahaman, Chairman of MCCI Kutub Uddin, DCCI chairman Shaiful Islam, Employers Federation chairman M Anis-Ud-Doula, Foreign Chamber Chairman Mahabu Jamil, BGMEA Chairman Anisul Haque, BTMA Chairman M A Aual, BGMA Chairman M Ali Beharuj Isphani, and BKMEA Chairman MD Fajlul Haque. At the last moment of the report now we know what inflation is, what is interest rate, what is the relation between the inflation and the interest rate, what are the causes and what are the effects of inflation rate. I also mention various type of inflation controlling measure and from these I discuss the bank rate policy, which is interest rate. To control the inflation interest rate is one of the most effective methods but there is a problem of that interest rate as a inflation control measure. The problem is that if this process is held by a nation for a long period of time then the nations business activity as well as economy can be harmful. Because if the interest rate is high then the surplus holder of money can’t want to invest their money in business because they think that they can earn money by deposit those fund in bank at a higher interest rate and there is no risk also. On the other hand the businessman don’t want to borrow money from bank because of high interest rate, as a result the area of business activity become narrow and cost and price of goods and service also become high, that’s why if the interest rate policy is held for a long period of time then its main objective don’t be fulfill. So to control the inflation rate by the interest rate nations have to use these methods for a short period of time but effectively.